The nation is celebrating the 47th Victory Day today with a renewed pledge to safeguard the independence and sovereignty, strengthen democracy and contain communalism and militancy. On this day in 1971, Pakistan occupation forces surrendered at historic Suhrawardy Udyan after a nine-month bloody liberation war. In celebration of the day, the nation is paying profound homage to the brave sons of the soil who laid down their lives for independence. They are also paying rich tributes to Father of the Nation Bangabandhu Sheikh Mujibur Rahman who led the country to liberation. The celebration this year has reached a new height following the UNESCO’s recognition of Bangabandhu’s historic 7th March speech as part of the world’s documentary heritage. The UNESCO on October 30 announced the prestigious recognition to one of the world’s most glorious speeches, through which Bangabandhu energised the entire nation for the forthcoming Liberation struggle in a mammoth public rally at Ramna Racecourse ground (now Suhrawardy Udyan) in Dhaka on March 7, 1971. With the immense joyfulness for UNESCO’s recognition and everlasting encouragement of the historic speech, the nation this year will celebrate Victory Day with much enthusiasm and fanfare and by renewing the vow for safeguarding the country’s independence and upholding the spirit of the War of Liberation. The day will herald with a 31-gun salute at dawn. President Mohammad Abdul Hamid and Prime Minister Sheikh Hasina placed wreaths at the Jatiya Smriti Saudha (National Mausoleum) at Savar early morning. Political leaders, different socio-cultural organisations and the general public will also place wreaths at the National Monument at Savar on this occasion. President Abdul Hamid and Prime Minister Sheikh Hasina issued separate messages on the occasion urging the people to work for consolidating sovereignty and independence of the country. Jatiya Sangsad Speaker Shirin Sharmin, opposition leader Raushan Ershad and BNP chief Khaleda Zia have also issued messages marking the day. In his message, President Abdul Hamid said Bangladesh is now being considered as a role-model in the world for socio-economic development. These have been possible due to intellectual-mind, tireless hard work and undaunted courage of our people, he said. This recognition is the source of inspiration and a great pride for Bangalee Nation, he added. In her message, Prime Minister Sheikh Hasina urged all to come forward and uphold the development and democratic spree being imbued with the spirit of the freedom struggle. “Let us engage ourselves for the welfare of the country. Let this be our vow on the Victory Day of 2017,” she said. “Today is the 16 December, the Great Victory Day. This is the day of greatest pride for the Bangalee nation. 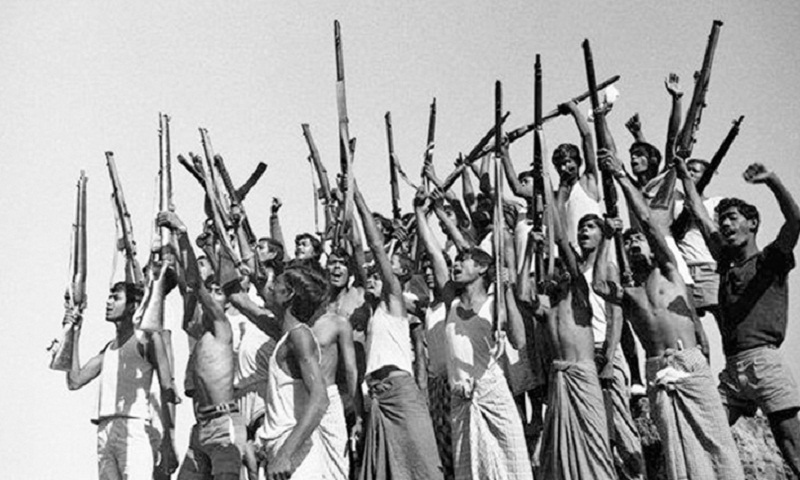 Responding to the clarion call of the greatest Bangalee of all time, the Father of the Nation Bangabandhu Sheikh Mujibur Rahman, the Bangalee nation earned the ultimate victory on this day in 1971 after 23 years of intense political struggle and a 9 month bloody war against, the Pakistani occupation forces,” the Prime Minister added. The national flag will be hoisted at all public and private buildings across the country on the occasion. Newspapers will publish special supplements while radios and televisions will air special programmes highlighting the significance of the day. Special prayers will be offered at mosques, temples, churches, pagodas and other places of worship, seeking divine blessings for peace and progress of the country. The ruling Awami League has chalked out various programmes to mark the day. National and party flags will be hoisted at all the offices of the Awami League across the country, including central party office on Bangabandhu Avenue. Other programmes include placing wreaths at the National Mausoleum at Savar in the early hours, paying tributes to the portrait of the father of the nation at Bangabandhu Bhaban, offering munajat and milad mahfil at the majar of the Bangabandhu at Tongipara in Gopalganj. AL general secretary Obaidul Quader has urged all party leaders and activists to celebrate the day in a befitting manner. AL will also hold a discussion programme at Bangabandhu International Conference Centre in the capital tomorrow (Sunday). Prime Minister Sheikh Hasina is scheduled to chair the programme.